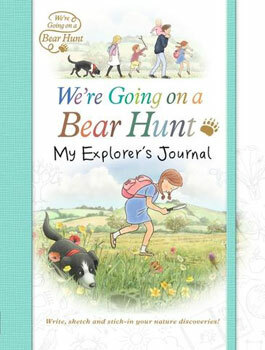 A wonderfully interactive journal for young explorers to record their experiences in the natural world. This companion title to We're Going on a Bear Hunt: An Adventure Field Guide is the perfect place for young nature enthusiasts to record their outdoor experiences; the animals and plants seen, weather conditions, cloud formations and much, much more. With abundant space to write, draw and preserve leaves and flowers, as well as simple art and nature-inspired projects to complete, this book invites readers to explore their world, be inspired by nature and create a keepsake journal of their outdoor adventures.